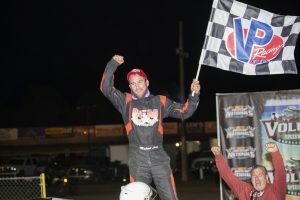 BARBERVILLE, Fla. — Michael Long outlasted a 91-car field of DIRTcar UMP modifieds from 21 states and three Canadian provinces to claim victory on the opening night of the DIRTcar Nationals at Volusia Speedway Park. 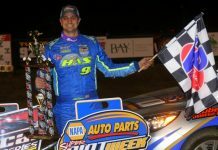 Long, 37, overtook three-time defending DIRTcar Nationals champion Nick Hoffman with eight laps to go to score his first DIRTcar Nationals victory. 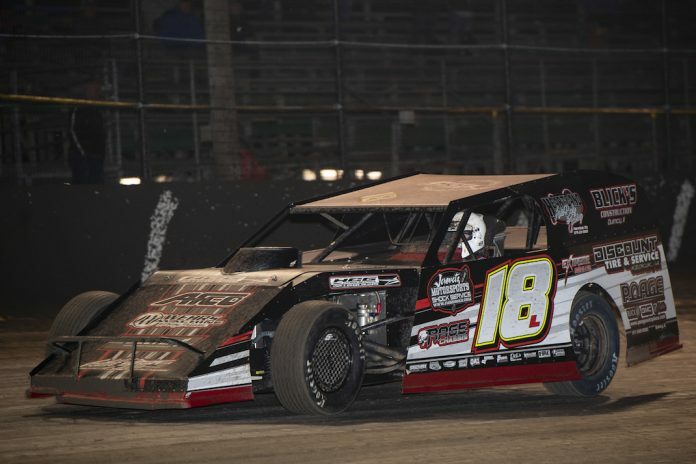 Lucas Lee and former NASCAR competitor David Reutimann led a stacked 28-car field to David Farney’s green flag to start the first feature of the 48th annual DIRTcar Nationals. Reutimann led the first six laps before Hoffman overpowered him on the seventh lap. Along with him came Long, who started sixth, and the battle was on for the race lead. 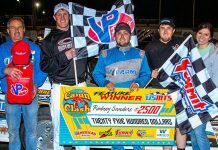 As Hoffman and Long continued to battle, Long searched for a way around the all-time career wins leader in the division at Volusia during the DIRTcar Nationals. 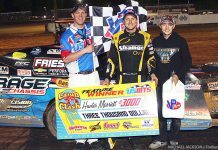 Finally, with eight laps to go, Long, a former track champion at Tri-City Speedway, made the winning move around Hoffman for the lead and pulled away from him to garner his first career feature win in the DIRTcar Nationals. 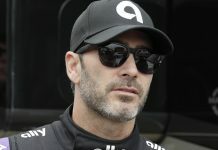 Long became the 47th different feature winner all-time in DIRTcar Nationals history within the DIRTcar UMP Modifieds division out of 112 all-time features conducted. 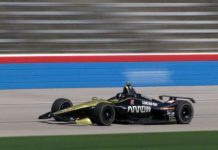 Hoffman settled for second over NASCAR Xfinity Series rookie contender Justin Haley, who completed the podium finishers. Tyler Nicely was fourth as Reutimann completed the top five. David Stremme out-timed the massive 91-car field with a 17.773-second lap of the half-mile dirt track. Michael Long, Nick Hoffman, Justin Haley, Tyler Nicely, David Reutimann, Tyler Evans, Trey Harris, Allen Weisser, Curt Spalding, Michael Altobelli Jr., Justin Allgaier, Kyle Strickler, Johnny Broking, David Stremme, Ryan Cripe, Ken Schrader, Ray Bollinger, Brian Ruhlman, Jason Garver, Brad Goff, Larry Burkins, Paul Miles, Jason Beaulieu, Zeke McKenzie, Lucas Lee, Ryan Thomas, Will Krup, Austin Holcombe.